Saturn Never Sleeps | Will You Miss Me When I'm Gone? It’s hard to imagine that TV on the Radio will be able to rock Radio City Music Hall on Wednesday, April 13, the way they did the Electric Factory in Philadelphia a few days earlier. 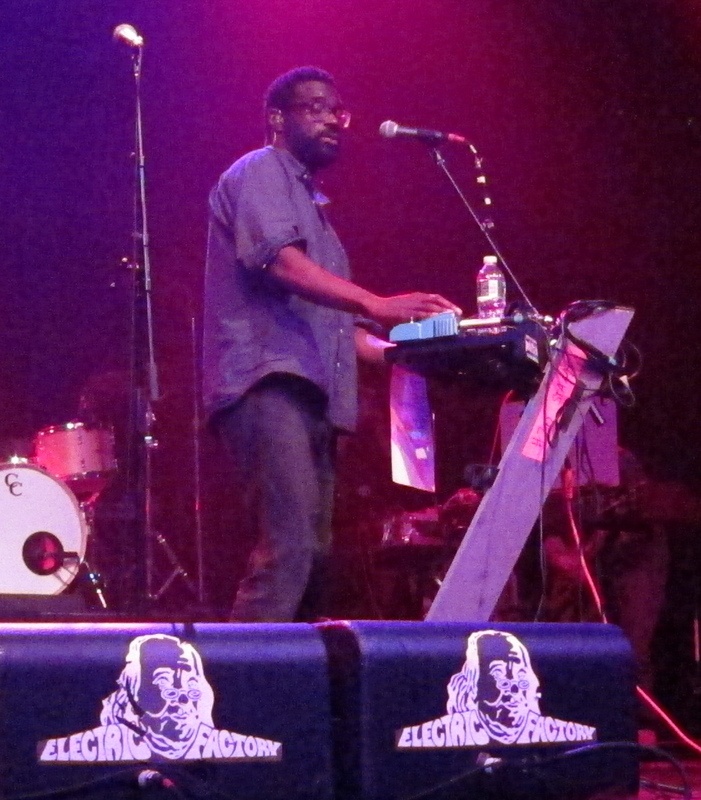 TV on the Radio's Tunde Adebimpe sings and plays keyboards. The Brooklyn band kicked off its tour in support of its new album, Nine Types of Light, at the relatively intimate Philadelphia venue on Friday, April 8. The band kept the crowd entranced with a good mix of older and new songs — some that they had never performed in concert before. The new material, which comes across as almost blueslike on the CD, really rocked out. This was TV on the Radio at its best. 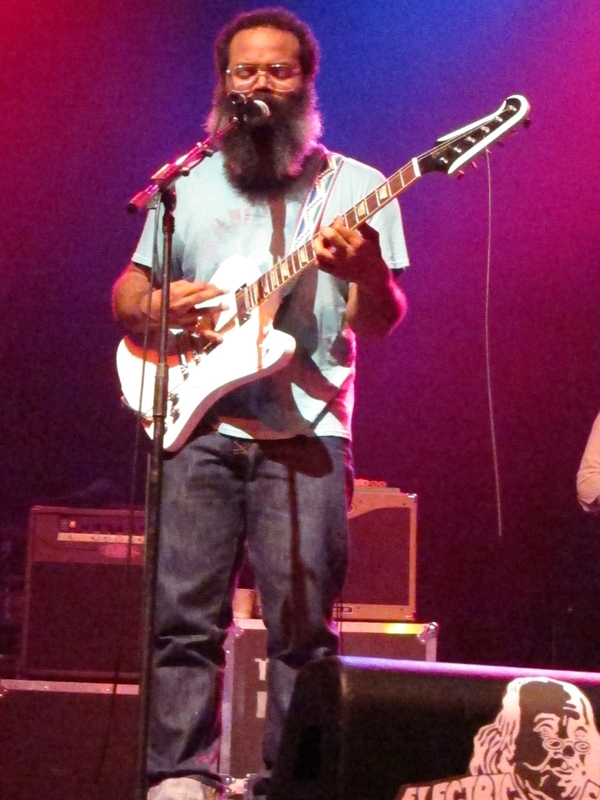 Kyp Malone didn't let a broken string hamper his guitar playing. in the audience will get to see the players up close. That sort of personal, visual involvement with the band is an important part of the show. But even so, it’s certain TVOTR will deliver a solid set to the hometown crowd. 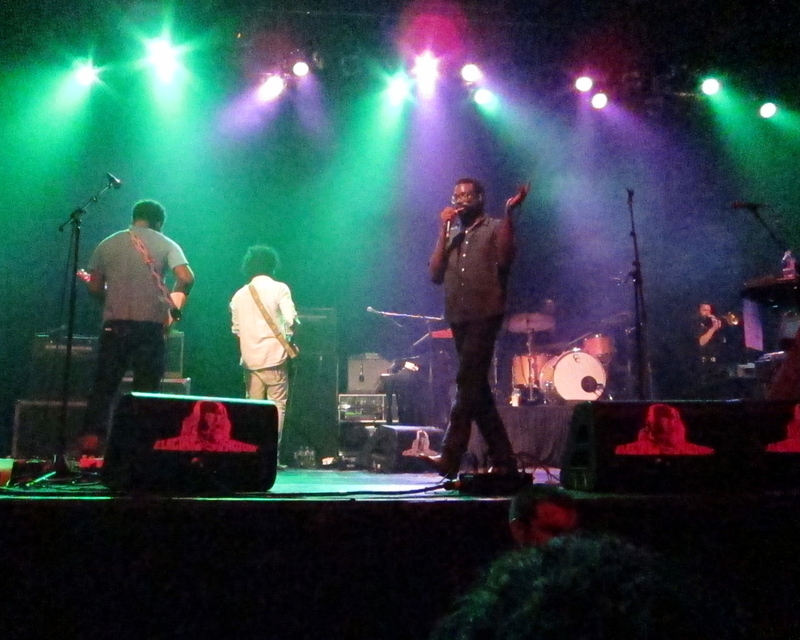 Click through to the jump to see the more TVOTR photos, the setlist and photos of the opening bands.